For many years, “Designed by Apple in California” has been the closest most Apple products can come to claiming the “Made In U.S.A.” label. But in 2012, the company decided to assemble the Mac Pro in Texas. According to a new report, that plan got off to a rocky start because of a single tiny screw. Apple is the crown jewel of American technology and it’s been a symbolic focus for politicians who hope to bring manufacturing jobs back home. In 2011, President Obama asked Steve Jobs what it would take to get Apple to build the iPhone in the U.S. The CEO responded matter of factly, “those jobs aren’t coming back.” But Apple did throw Americans a bone with a splashy announcement that the Mac Pro would be partially manufactured and then assembled in Austin, Texas beginning in 2013. The redesigned model of Apple’s most powerful computer ended up being delayed for months and we’ve never been entirely sure why. On Monday, the New York Times reported that the problem was a custom screw that Apple couldn’t get its hands on. 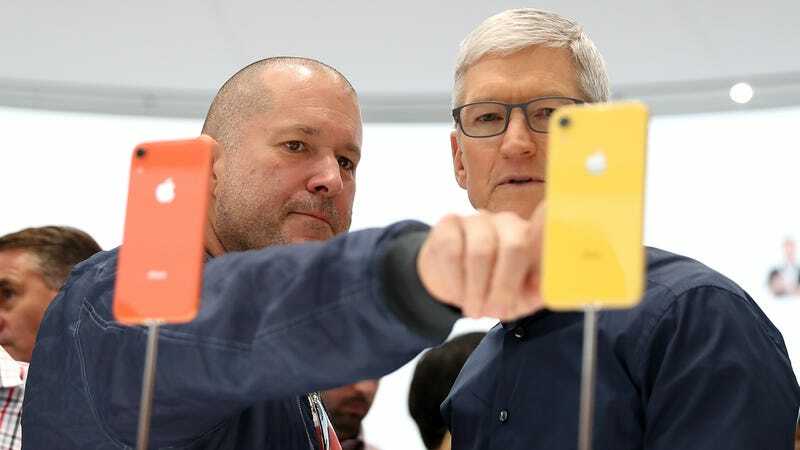 Citing three sources who worked on the project, the Times claims that the delay came when Apple discovered the American machine shop it had contracted to manufacture custom screws for the Mac Pro was only able to deliver a maximum of 1,000 screws per day. The sources claimed the screw was illustrative of a number of issues that Apple encountered with the U.S. manufacturing sector. In China, custom shops for building parts on the fly are a dime-a-dozen, and labor is plentiful and cheap. Some parts for the Mac Pro were shipped from China to Texas, but the Times sources claim that its team suddenly found itself in need of special screws that weren’t in the original plans. Cold calling machine shops, they landed on Caldwell Manufacturing. Stephen Melo, the owner of Caldwell, told the times that the machines needed to make what Apple required had been replaced because of limited demand. He wasn’t able to make the exact screw that was necessary, but it was close enough. Staffed with just 20 employees, Melo slowly produced the screws and personally drove them to the factory over the course of 22 trips. It’s no secret that China offers inexpensive labor and has no qualms with working staff to the bone. But after years of assembling its products overseas, the realities of production were sobering for executives. That doesn’t mean China’s the only place that can handle Apple’s production needs. With President Trump waging a tariff war against China and U.S. intelligence becoming increasingly nervous about Chinese supply chains being a security risk, Apple’s reportedly looking for a new base. An Apple executive told the Times that India and Vietnam are the top candidates. Those two countries have been mentioned frequently as the most likely destinations for Apple over the last year. All that said, this story comes at a convenient time for Apple. Important trade talks between the U.S. and China begin this week. President Trump has set a deadline for March 1 to reach a deal, or tariffs on Chinese imports will dramatically increase. A quirky, anonymously sourced story making the case for why it’s doggone hard for Apple to assemble its goods in the U.S. certainly should inspire a bit of skepticism in the reader. The Mac Pro “trashcan” has been a bit of a dud for many reasons, but it’s still built in Texas. A redesign of the top-of-the-line Mac is scheduled for release sometime in 2019 and it remains to be seen if the launch will go smoother this time around.